It was the summer of 2013. I had gone out of town for my friend's wedding, unaware of the fact that my parents were hatching a plan behind my back. I was still studying - it was my final year and my mother had promised me that she would start looking for a rishta only after my course was done, which was a good 8 months away. But as luck would have it, just a week after that promise, when I returned from my friend's wedding, my parents called me for a "family talk". Every little mistake I had made ran through my mind, including the possibility of a fight with my sister. But as far as I could remember, I had been on my best behaviour because I had a few more events coming up and I didn’t want anything to go wrong before them. Then my mom spoke. She said," I will tell you something, just listen calmly, do not overreact." And I knew where this was going! 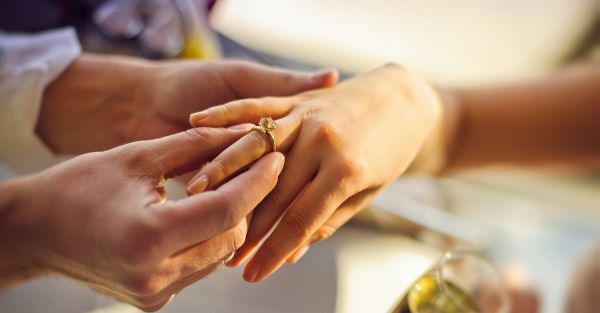 Also read: #MyStory: What Happened When My Fiance Called Off The Wedding… "No way, Maa, I am not getting married, you promised me!" I said, tears welling up in my eyes. I still don't remember the sequence of events that led me to say yes to considering the proposal. Then I asked them who was the guy. My dad told my sister to get the camera. He showed me the photo and I was shocked beyond words. He was a senior from college, Param. (My father is a professor at my college, and Param also happened to be his student.) I thought no way, this could not happen! My cousin had got engaged just a month back and her fiancé's name was also Param. I told my parents that everyone would have a good laugh. My father said, "Don't even think of rejecting a proposal because of the name." Plain cold! Two days later, Param asked my father for my number, called me and asked me to meet him at a restaurant. Being the foodie I am, I was happy he selected a nice restaurant. We met in the evening, had a casual talk and I found him nice. He spoke well, ordered good food and made me feel comfortable. After going back home, my parents asked me how I felt. I told them he was nice, but I still did not want to marry. But everything went as per my parents’ wishes and I just said okay. But until my engagement, which was four months after we met, I was cold to him. One-word replies, not answering his call, making excuses for not meeting him. During all of this, not once did he give up on me! A week after my engagement, I was very apprehensive about leaving my parents. In all of this sadness, I told Param, “I don't want to marry you.” He immediately called my father and told him that they needed to talk. Then I realized my mistake. I had stayed away from Param only because I was angry with my parents. How would I even know a person if I never gave him the chance to show me who he was? How would he know me if I was not frank with him? I immediately asked him to meet me and sorted the matter before it got out of hand. It was only after this incident that I started talking to him in a frank, open way. Months passed, I kept getting close to him, I started liking him more than ever before! Exactly a week before our wedding, we had to go out of town to write an exam. Param told me that both of us should go together. I said no because my relatives would be dropping me and it would not look good, although deep inside I was thrilled by that thought! He tried to persuade me, but I was adamant. He finally gave up. The day when I was boarding the train, my relatives dropped me outside the station and left because there was a lot of work left to do. I kept walking towards my bogie along with my friend. I felt someone behind me. I turned back and saw a shirt disappear into the door. I knew it was him! I told my friend to go ahead and that I would join her soon. I went towards the door of the previous bogie. I did not find Param there. Disappointed, I turned to join my friend and saw him looking for me in the opposite direction. I was happy beyond words. I went and put my hand on his shoulder and he said, "Arre you saw me, I wanted to give you a surprise, I have my bus tonight. Meet you tomorrow morning!" 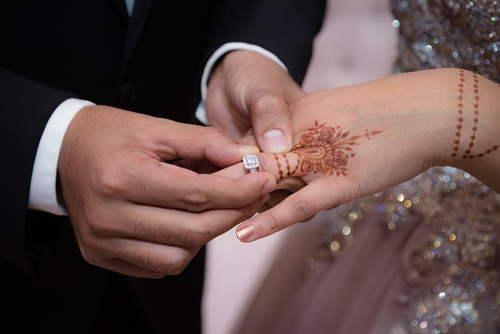 Also read: #MyStory: From Rishta Meeting To… A Romantic Night Together! We spoke for five more minutes and left. The train started, and I was dreaming sitting by the window. An hour or so later, I was talking to my friend and saw Param passing by. I said, “Whatttttt!!!! You did not leave?” He just gave a heartwarming smile. Trust me, that was the best journey of my life. The bond that developed in that journey (to and from) was stronger than what we had developed in all the previous months put together. Now we have been happily married for two and a half years. The best part of our marriage is that we have been together 24X7 from the day we got married, because we studied and worked together simultaneously. Every person who has seen us together asks us if ours is a love marriage. To which I say “No, arranged” and Param says “Yes, love marriage”. Guess what? Everyone believes him and not me :-) * Names changed to protect privacy. Images: Shutterstock Have a story you’d like to share? Just drop us an email here with your story – don’t forget to put #MyStory in the subject line. We’ll get back to you about whether we can feature it.